Legs begging you for mercy? Make it up to them by slipping on a pair of compression socks. Your loyal legs have taken you on yet another long distance run, but now they're begging you for mercy. 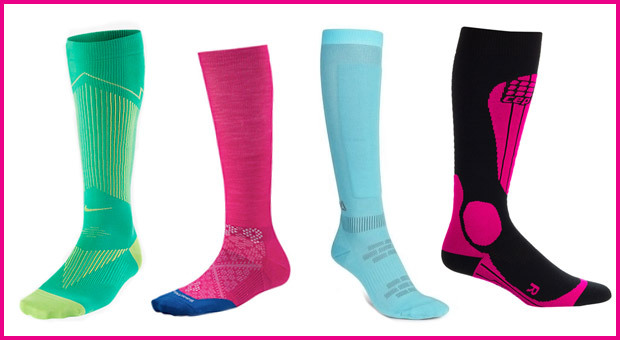 Make it up to those tired limbs by slipping on a pair of compression socks. Not only are they known to help boost circulation and speed muscle recovery, but a recent study in the Journal of Strength and Conditioning Research found that runners who wore compression socks for 48 hours after completing a marathon performed better on a treadmill test two weeks postrace than did runners who didn't wear the socks. Here are a few fun ones your stems wonât mind sporting. 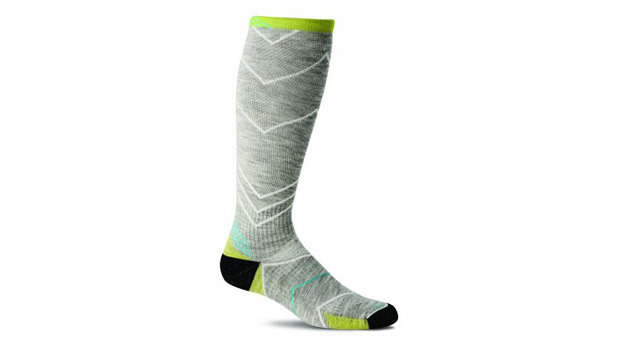 Your feet can really take a pounding out on the road, tand hankfully the bright SmartWool PhD Run Graduated Compression Ultra Light Socks ($38; zappos.com) help absorb some of the shock in high-impact areas. 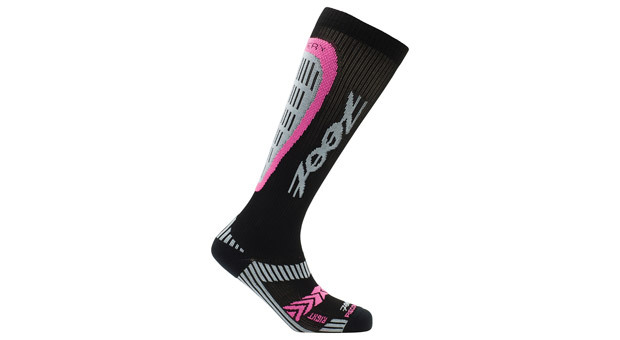 The Zoot Womenâs Recovery 2.0 CRx Socks ($65; amazon.com) places direct pressure on the muscles to prevent post-exercise swelling. Nice. A pair of luxe socks is a must for pampering purposes; treat yours to these super-stretchy cashmere Goodhew/Sockwell Incline Series Knee High Socks ($25; athleta.gap.com). Youâll feel like they were made just for you. 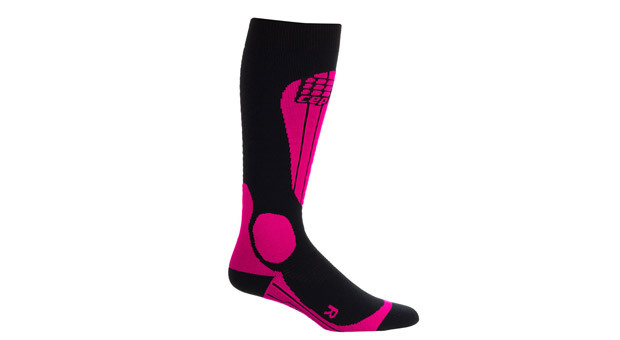 These totally teched-out 2XU Compression Performance Run Socks ($50; 2xu.com) have perfectly placed compression panels throughout for improved circulation. 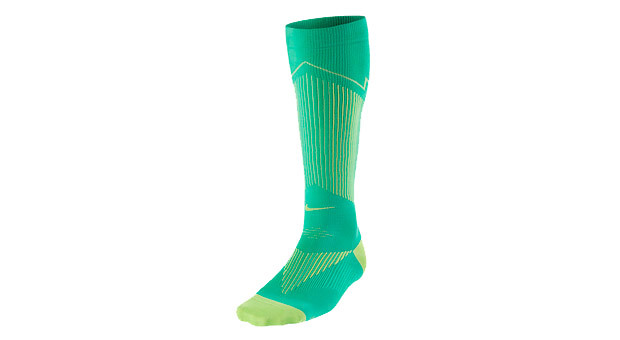 The Nike Elite Compression OTC Socks ($50; nike.com) keep your run from becoming a funky situationâtheyâre made from durable sweat-wicking fabric, which helps keep feet dry and odor-free. 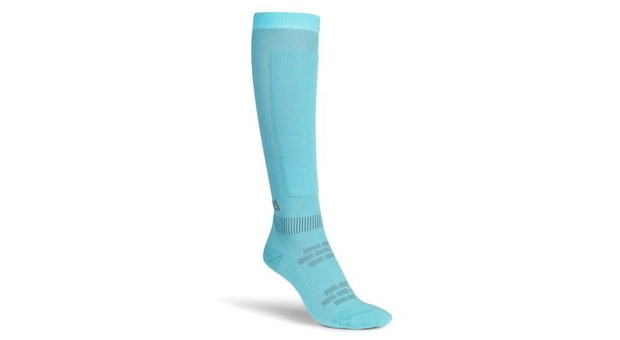 Great news: You can rock the Reebok One Series Training Compression Socks ($25; reebok.com) year round. The breathable terry and mesh fabric is light enough for long summer runs, while still offering sufficient coverage from the cold. 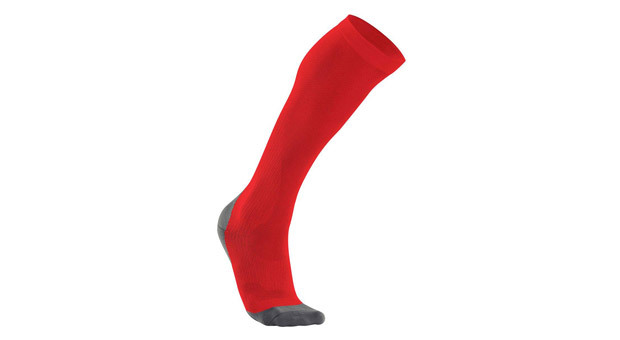 Made with a heat-retaining knit fabric, the CEP Progressive + Ski Thermo socks ($60; dickssportinggoods.com) keep feet toasty whether you're logging chilly miles or skiing down the slopes.